A stylish dining precinct on the Adelaide Riverbank, Home Ground offers relaxed, family-friendly indoor and outdoor dining complemented by stunning river views. 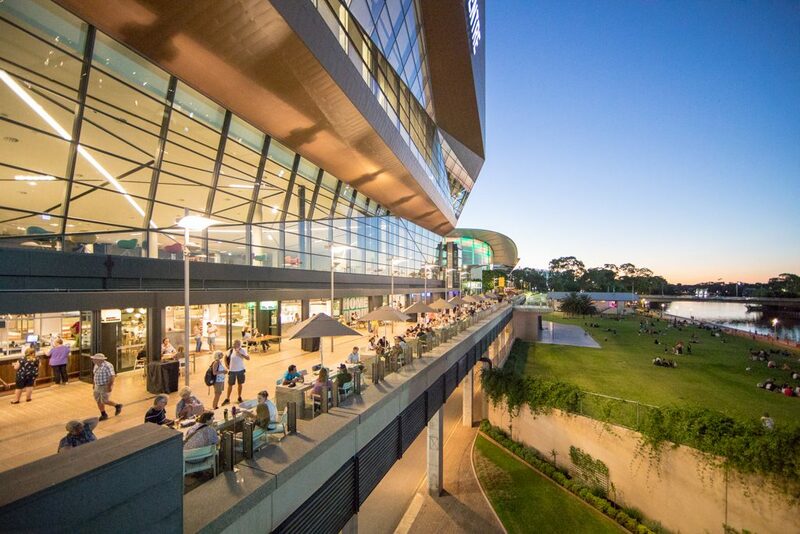 For guests visiting the Centre, Home Ground is conveniently located on the Adelaide Riverbank Promenade immediately underneath our East Building. Open seven days, it comprises three distinct eateries, catering to a broad range of tastes. Enjoy casual, family-friendly dining at its best. Open from 12noon daily, Goodbuns offers a modern twist on classic favourites including burgers, hot dogs, slow-cooked beef brisket and more. For those with a sweet tooth, Goodbuns is also known for its delicious desserts, including sundaes, waffles, brownies and thickshakes! Goodbuns is also a hot spot for those looking for something tasty to eat and drink prior to the many sporting games in the Riverbank Precinct, complete with a special ‘Event Day’ menu. Savour fresh, local produce whipped into a variety of light ‘on trend’ dishes. Think poached eggs with salmon and smashed avocado; acai bowls; chia pods; salads; poke bowls; sandwiches; wraps and more. Open 7 days for all-day breakfast (available until 3pm) and lunch, Sage is also the perfect coffee stop on the Adelaide Riverbank, serving fresh espresso and a delicious range of house-made, artisan desserts. The Home Ground dining precinct also incorporates Regattas Bar & Kitchen, known for its casual, seasonal menus and panoramic river views. From snacks and share platters to steaks and house-made pizzas, all dishes are made using the best of locally-sourced, seasonal produce.